Ingest Machine is a powerful and flexible multi-channel, multi-format recording software. It can capture multiple SD/HD-SDI streams from live or deck sources directly to the Avid NEXIS and check-in to the Avid Interplay. 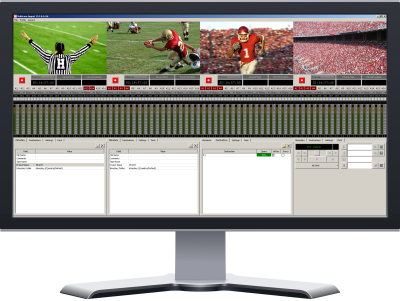 Ingest Machine supports such innovative capabilities as scheduled capture, optional fallback storage and multi-camera control.